Queen Mary, the Queen Mother in 1940 (grandmother of Queen Elizabeth II), made many visits to the area during the war. Her personal efforts are often recognised as raising the status of the Royal Family following the death of her husband, King George V and the abdication of her eldest son, Edward VIII. 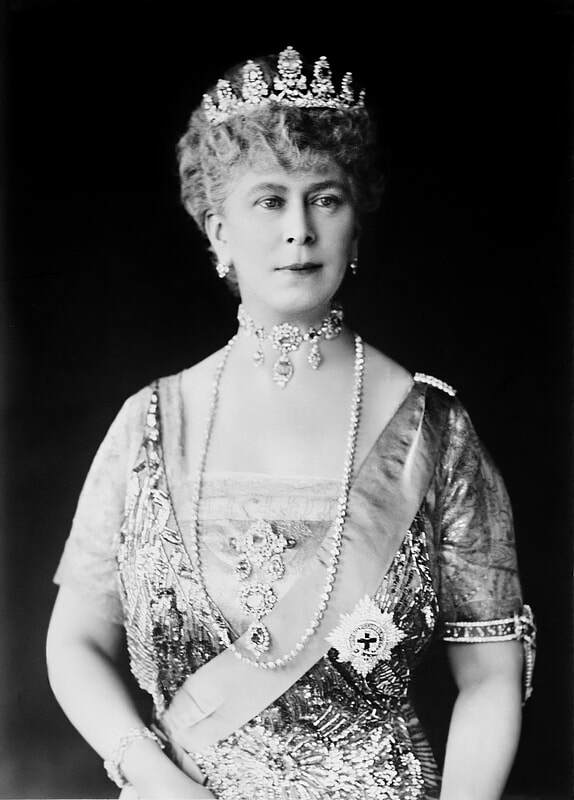 Queen Mary's visits to Bath included both public and personal trips and she took the city to her heart. In a highly-publicised visit a month before the outbreak of war she processed through the city and to lay the foundation stone of the Royal National Hospital for Rheumatic Diseases. The council erected a special grandstand and a scheme of street decoration similar to that which was adopted so effectively at the Coronation. In May 1940 she went shopping in Colmer's Store, Bath, and enjoyed the botanic gardens in the Royal Victoria Park. Amazingly she then stopped off to visit Box with the Princess Royal and her husband, staying for two hours to have tea with Mr and Mrs Kidston at Hazelbury Manor. 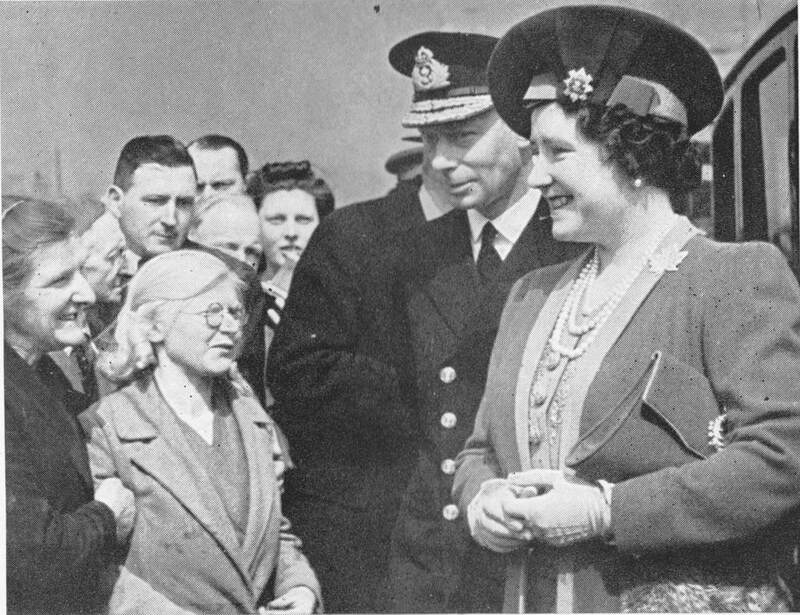 Most of Queen Mary's trips were on official duty such as her visit to two hostels run by the Army Welfare Service in October 1941. In one day she met schoolchildren from Bath, the Brownies, TocH members, Salvation Army officials, kitchen workers, council officials, students from the Bath School of Art and, of course, servicemen. On another trip in June 1943 she inspected allotments converted out of a flower nursery. And later that year she inspected the newly opened Ear, Nose and Throat Hospital in Bath. She continued to come to Bath and was in the city in 1943 greeting American servicemen.